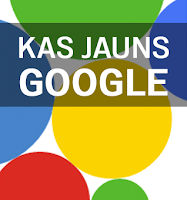 Pagājušā nedēļa nesa daudz interesantu jaunumu, tamdēļ, ja vēlies būt informēts par Google jaunumiem, kas sniedzas tālāk par AdWords, taču kas aizvien var būt interesanti tavam uzņēmumam, šeit ir daži no stāstiem, kas tika publicēti oficiālajos Google emuāros pagājušajā nedēļā. 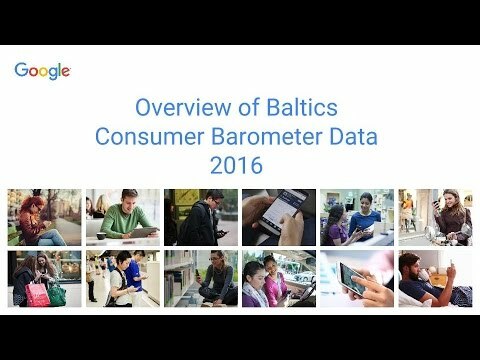 Zemākminētās saites ved uz rakstiem angļu valodā no Google globālajiem emuāriem. We are excited to announce the launch of account labels. Starting this week, you can organize your account’s keywords, ads, ad groups and campaigns into custom groupings so you can quickly and easily filter and report on the data that is of most interest to you. Yesterday we launched www.themobileplaybook.com, our new resource we hope will help business leaders understand how to strategically approach the mobile space in 2012 and beyond. Today we thought we’d cut to the chase and summarize the action items we recommend in hopes this will jumpstart conversations you may be having internally about what to do in the mobile space. For our second post in the Mobile Mondays series, we’ve invited Grace Nasri of FindtheBest to share her company’s experience in going mobile. Google has said before that search engine optimization, or SEO, can be positive and constructive—and we're not the only ones. Effective search engine optimization can make a site more crawlable and make individual pages more accessible and easier to find. We recently updated the Top Search Queries data to take into account the average top position, we enabled programmatic download and we made sure you could still get all the queries that drive traffic to your site. Well, now it’s time to give you more search queries data! Drive is a natural step in the evolution of Google Docs. Drive is built to work seamlessly with other Google applications like Google+, Docs and Gmail, and your app can too. Joining the launch today are 18 web apps that have integrated with Drive using the Google Drive SDK. When your visitors come across something interesting on your site, sometimes you want to encourage a simple endorsement (like +1). Other times, however, you want to help visitors share with their friends, right away. Today’s new Google+ Share button lets you do just that. Today we have more than 200 million monthly active users on translate.google.com (and even more in other places where you can use Translate, such as Chrome, mobile apps, YouTube, etc.). We receive a lot of questions from publishers wanting to know best practices to grow your businesses with AdSense. While there's no one right answer, our advice continues to be to focus on creating high quality content and delivering the best possible user experience on your websites. Here are some key suggestions on how to design and organize your website content with an overall emphasis on the quality of the site.